The N2 may be the quickest way between George and Knysna, but the Seven Passes Road is a scenic detour that nowadays sees little traffic, aside from baboons, small antelope and mountain bikers. The road was constructed by Thomas Bain and completed in 1882. Travel writer TV Bulpin describes it as “… a classic piece of old-time roadmaking with dramatic views”. Some stretches have been tarred but the four passes below are still rollicking good drives. The Phantom Pass lies just after the road bridge from Knysna if travelling towards George. This gravel road winds past green pastures and into the forest. The pass was apparently named after the phantom moth, but on misty mornings you can easily imagine phantoms of a different kind. At the top of the pass turn right onto the road to Rheenendal. 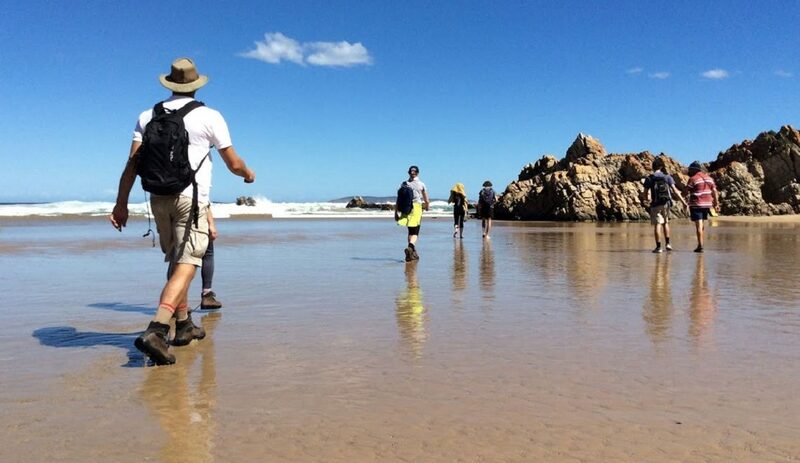 Just before you reach the settlement there is a turn-off to Millwood, a section of Garden Route National Park with picnic sites and walks. The meandering dirt road leads to Mother Holly’s tearoom in a historic miner’s cottage, where you can unwind with just the sound of birdsong in the background. Go back on your (dirt) tracks and continue to Rheenendal to pick up the Homtini Pass and eventually the Karatara Pass. This road leads to the little woodcutters’ village of Karatara, a trip back in time to a much simpler era. From here you can follow the road back to Sedgefield. On the other side of Knysna, the R339 to Uniondale offers rocky mountain views and rolling hills covered in pine plantations. 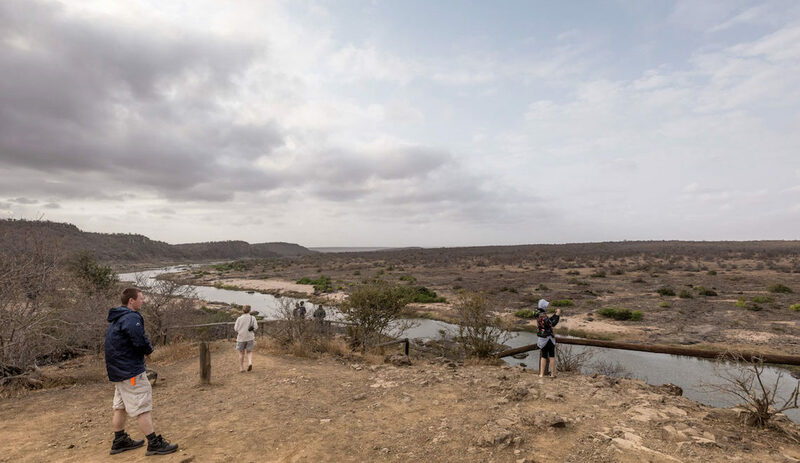 As the road winds through the mountains it crosses the Keurbooms River seven times. An enjoyable day trip is to head to De Vlugt, a small hamlet situated halfway through the pass. The tea garden is known for its excellent scones. 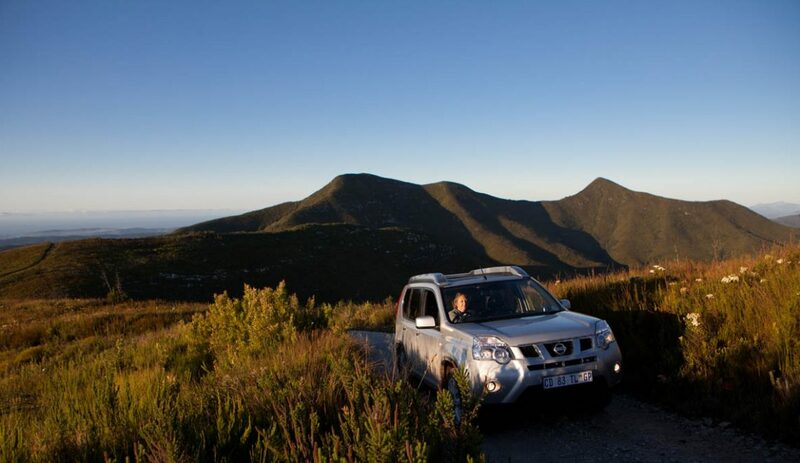 On assignment to the Garden Route, the Wild team travelled in comfort in the Nissan X-Trail. This 4×4 has a ground clearance of 203mm and switches easily between two-wheel and four-wheel drive. Thoughtful conveniences such as the map reading lamp and luggage floor box make this an ideal touring vehicle.